40 years of experience in multi style percussion for every thinkable musical situation. Custom recorded exclusive studio percussion. Recordings done for Bruno Mars vs David Guetta - 'Versace On The Floor' and many others. Live, recorded and commissioned music, independent record label. Like 2018, the year 2019 started in the best possible way since I again joined the international 'A Bowie Celebration' tour for the 4 sold out 'Holland & Belgium' concerts in the 'Oosterpoort' - Groningen, 'Doornroosje' - Nijmegen, 'Paradiso' - Amsterdam and 'Ancienne Belgique' in Brussels. This time the project featured legendary pianist Mike Garson, guitarist Earl Slick, guitarist Mark Plati, bassist Carmine Rojas, drummer Lee John and vocalists Bernard Fowler (Rolling Stones), Corey Glover (Living Colour), Joe Sumner. 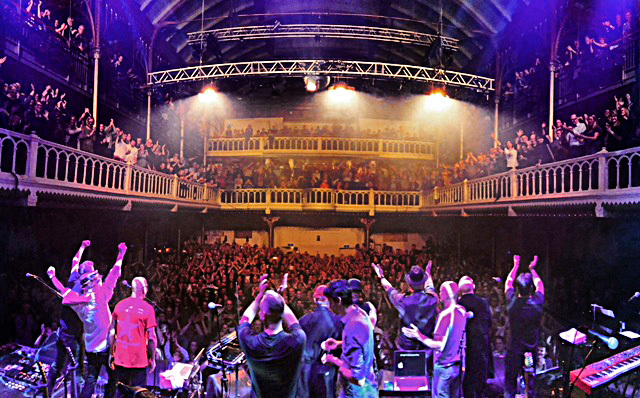 Gerry Leonard, David's last musical director, asked me to join in with a legendary line up of original 'Bowie musicians' and special vocal guests for the 2 shows they did in Holland as part of the European tour in 2018. Besides with Gerry in 2018 I shared the stage with Mike Garson, Adrian Belew, Fishbone's Angelo Moore, Paul Dempsey, Joe Sumner, Angelo - Scrote - Bundini, Ron Dziubla, Carmine Rojas and Michael Urbano. Playing this totally legendary music with these legendary and wonderful people was something I will not forget easily. I am thrilled to have recorded for Bruno Mars in my homestudio through internationally acclaimed songwriter, producer and pianist Giorgio Tuinfort. After recording sessions for Giorgio for the likes of Michael Jackson, David Guetta, Mr. Probz, Lange Frans and Suzanna Lubrano this is a new highlight in my recording career. 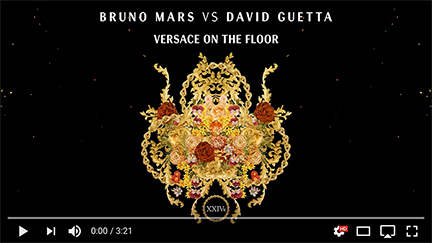 This version of 'Versace On The Floor' is a collaboration with David Guetta. For me it is extra 'cool' to have recorded these percussion tracks in my 'Percussion Today Home Studio'. Percussion Loops HD is a vast library with hundreds of percussion loops and samples, played by a pro player and purpose built for iOS! Use them with your daw - a.o. Garageband, Auria, Cubasis, Multitrack Daw - (plus AUDIOBUS SUPPORT) or let them loop within the app itself. Nothing is programmed or synthesized, but played live by me.